I’m running a contest over at Coffee Time Romance and More. Enter for a chance to win the newest ebook in my Matrix Crystal Series! I’m guesting on Delilah Devin’s blog and wrote about writing Alien Heart (the first book in my Chronicles of Arcon). And there’s a contest too. Congratulations KC. You have won a amethyst pendant. I’ve already contacted KC and mailed off her prize. 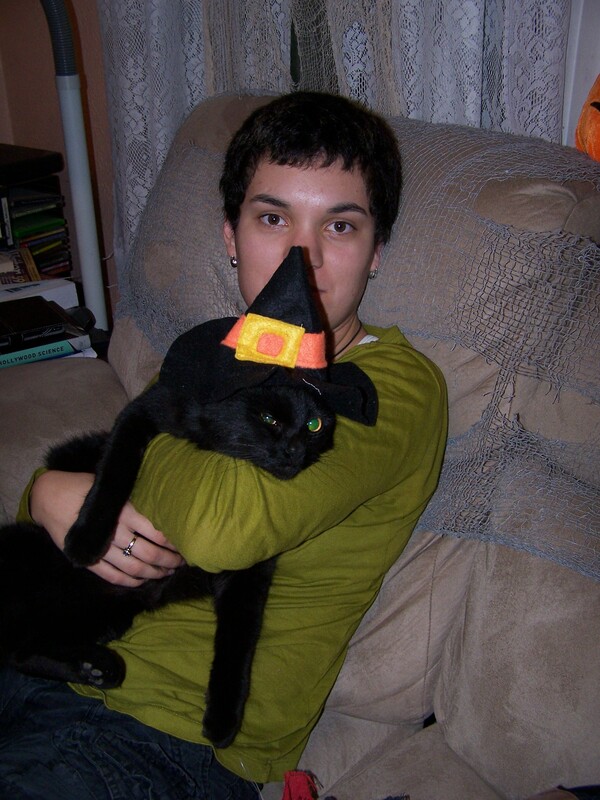 If you are looking for the Snarkolgy Halloween Blog Hop, then you have found it. For me, I loved making my daughter’s costumes for Trick-or-treat. She’s been a bunny, cowgirl, Little Red Ridding Hood, fairy complete with wings, spider queen with a companion spider she’d walk on a pole, an angel with wings make with real feathers (I can’t take credit for that one) and a cat. My daughter is grown now, but I still remember the festive feel to Halloween night, kids were (and still are) so excited to wear their costumes, and most people were friendly and nice. I’d walked my daughter along the road so she could knock on the doors. The scent of candle wax and pumpkin from the hand-carved jack-o-lanterns and the crisp fall leaves filled the air. We’d come home exhausted, and my daughter’s bag bursting at the seams. She was always a big hit when she trick-or-treated. Team Alpha Three’s spaceship is out of power after fighting a wormhole, and parked on the primitive world of Zenevieva. With half the team sick from radiation poisoning, the team commander entrust geologist, Maya Gladstone, to find enough matrix crystals to power up their spacecraft, so they can go home to Earth. Vach Namaste of the powerful Clan Namaste, a native of the planet, has desired the lovely Maya since she stepped off the spaceship on that astonishing day a year ago. He’s hounded her every step since. As Hymeneal Night approaches, he makes plans to take her as his bride… willing or not. He handed her the flashlight. “Is there another way?” She shone the light around, noting how the crevice narrowed overhead. “Not that I know of.” He grunted, trying to remove his robe, but there wasn’t much room to maneuver. “Here, let me help you.” Maya pulled the robe off his shoulder. “Surely the ancients didn’t come through here?” She jerked one sleeve down over his hand and then reached to get the other side too, but found herself wedged between the rock wall and his hard body. Fighting the impulse to feel his muscles, she managed to get his other sleeve down. With his arms up, Maya got a whiff of his spicy, male scent. It always surprised her that the Zeemen didn’t stink after exertion as humans did. I wouldn’t mind rubbing his body down with oil. Warmth spiraled through her middle. She bit her lip. Keep your mind on business and not on being in a tight spot with a handsome Zeeman. Vach stuck his clothes in the tote and then sidestepped through the narrow opening. Grunting as he pushed past the bow, he finally got through. Maya approached the bend and realized it was about breast height on her. No wonder Vach had a problem, with his deep chest and heavily muscled back. Contemplating the aperture, she stood on tiptoe but couldn’t get high enough. Finally, she squatted down but then found she needed to keep her knees bent out sideways. Oh no, not awkward at all. “At least we know it’s there.” His breath puffed against her face. It smelled of mint. With an electric jolt, Maya realized her shirt had risen up and Vach’s hands were resting on her bare skin. She became hyperaware of his scent, his closeness and the fact that he wore no shirt. His hand slid further under her shirt, gliding over her ribs. Contest rules: The prize is an Amethyst Crystal necklace, or if you live outside of the US, a five dollar or similar amount in the winners country’s currency in the form of a gift certificate to Amazon. The prize is valued at no more than five $5.00 USA dollars. Contest starts October 28 and ends October 31, 2014. The winner will be notified by email. 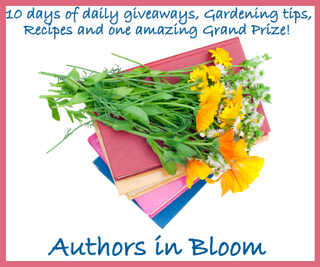 Don’t forget to drop in on these other blog hop participants for even more chances at prizes. If you are looking for the Sizzling Summer Nights Blog Hop, you have found it. When it’s this hot, and let me tell you there’s not a lot of places hotter than the Central Valley of California in August, I like to stay cool by staying inside with a good book. 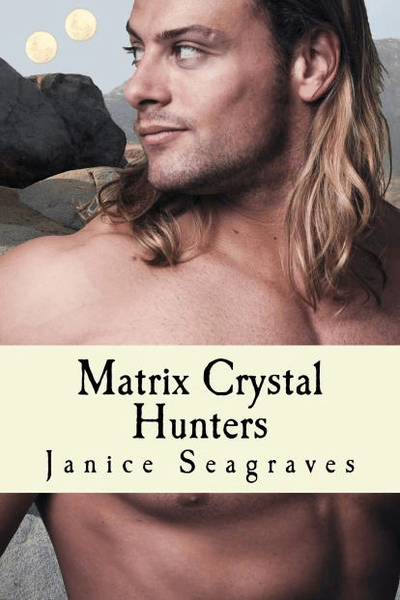 My recent release, Matrix Crystal Hunters, is just such a book to help you take your mind off of the summer heat. Contest starts August 1 and ends August 3, 2014. The winner will be notified by email. Savannah Miller won the grand prize and Mary Preston won the secondary $25 gift card. Congratulation to, Brandi, who won the amethyst pendant on my website. Please check out my interview, then post a comment for a chance to win a T-shirt. She wins the amethyst pendant. I’ve already contacted Giedre and will be mailing the prize tomorrow.